Finding the right merchant account provider brings many benefits to your business and the service it provides to your customers. They let you to process credit card payments and provide other payment options, which makes it easy to grow your business and reduce unwanted overhead costs. Merchant account providers can differ in the benefits they offer so choosing the right one is essential to the success and growth of your business. In this article, we’re exploring the necessary traits you should look for in your account potential provider. Finding a merchant account provider with a strong industry reputation is essential. These days with a simple Google search, it’s easy to get a look into different providers and read the reviews provided by their other customers. This gives you a relatively unbiased indication of the type of service you’ll receive and will help you avoid any unwanted surprises. Third-party review sites are often more reliable than the provider’s website, so be sure to check a variety of sources before making your decision. When considering different merchant service providers, it’s always a good idea to inquire about references. Although some companies are restricted by confidentiality agreements, most businesses are willing to provide the experiences of satisfied customers if they’re able to. Focus on the experiences of customers whose businesses are similar to your own. This gives you a clear idea of their knowledge of your particular industry and requirements. The biggest mistake you can make is to overlook the contract terms of a merchant account provider. By fully understanding these terms, you’ll be well informed on any fees that will be applied and the policies related to the services they provide. 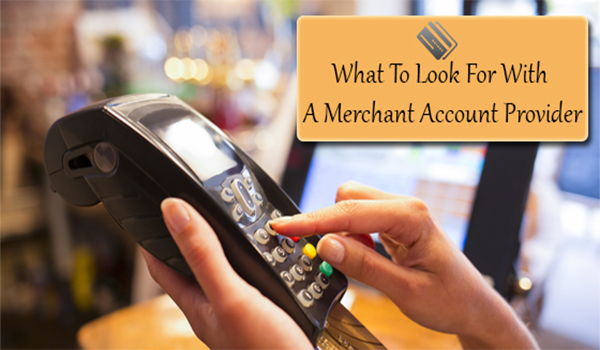 Transaction and other fees are common when working with merchant account providers. Review the contract to ensure that you’re fully aware of any other fees that may not be immediately apparent. If the contract is for a particular duration, be sure to note the contract length when choosing your merchant account provider. Longer contracts can be problematic if you’re just starting out with a new provider, as you may find that your needs expand or shrink over time. Know which options are available to you so you’re able to choose one that works best. Your merchant account provider must be willing and able to offer ongoing support for your business, but ‘support’ often means different things to different people. Would you be more comfortable having access to a live service professional when you need one? Or are you satisfied with simple email support? Knowing what level of support you need is critical to choosing the best merchant account provider. Some businesses will need access to support 24 hours a day, seven days a week, while others will only need assistance when there is an issue to resolve. Investing in a provider that offers the level of support you need saves you time and money in the long run. When you know what to look for with a merchant account provider, it becomes easier to choose the best one for your business. Considering your needs related to customer support, contract terms, and industry expertise will help your company find success with your merchant account! For more information, contact our team today.